I generally encourage a negotiation and mediation approach to conflict resolution in the horse world. The horse world is small, so I think it is better to make peace than rampage against each other. The horse world is dying out (at least in California) as the cost of land and horse care increases, and as parents decide that ballet or baseball is more affordable than horses, and lawsuits only further discourage amateurs from staying in the sport. California's Consumer Legal Remedies Act (CLRA) is very powerful pro-consumer legislation. The Act is set forth in California Civil Code sections 1750 et seq. and applies to specifically defined "unfair methods of competition and unfair or deceptive acts or practices undertaken by any person in a transaction intended to result or which results in the sale or lease of goods or services to any consumer." (Civ. Code § 1770 (a)). [Emphasis added] "Goods" are defined by the code as tangible chattels bought or leased for use primarily for personal, family or household purposes. (Civ. Code § 1761 (a)). The CLRA defines "consumers" as individuals who seek or acquire, by purchase or lease, any goods or services for personal, family, or household purposes. (Civ. Code § 1761 (d)). Horses have been established as "goods" under both the Uniform Commercial Code and case law. Section 2105(a) of California's Uniform Commercial Code ("UCC") states in pertinent part as follows: "'Goods' means all things . . . which are movable at the time of identification to the contract for sale other than the money in which the price is to be paid, investment securities. . . and things in action. 'Goods' also includes the unborn young of animals. . .". Further, the court in Sessa v. Riegle 427 F.Supp. 760, 764 (E.D.Pa.1977) found that the sale of horses was governed by the UCC. Given that horses have clearly been established as 'goods' under the law, the CLRA would clearly apply to the purchase of a horse in California. The CLRA specifically sets forth numerous practices that are deemed unlawful methods of competition, unfair or deceptive acts from which a consumer may seek protection. The most applicable sections for a horse transaction are Civ. Code section 1770 (a)(5) and (7). When a seller falsely represents a horse as having certain characteristics, uses or qualities they place themselves in violation of the Act allowing the buyer to seek protection under the CLRA. • Notify the person alleged to have employed or committed methods, acts or practices declared unlawful by Section 1770 of the particular alleged violations of Section 1770. • Demand that the person correct, repair, replace, or otherwise rectify the goods or services alleged to be in violation of Section 1770. • Notice shall be in writing and shall be sent by certified or registered mail, return receipt requested, to the place where the transaction occurred or to the person's principal place of business within California. ** It is important to note that if the seller renders an appropriate correction, repair, replacement or other remedy, or agrees to within 30 days, no action for damages may be maintained. The CLRA is a very effective tool for encouraging a seller to do the right thing, as consumers who suffer damages under this Act may recover actual damages, punitive damages, as well as, attorney's fees and costs. As so many horse transactions occur without the benefit of a written contract allowing for attorney's fees this aspect of the CLRA is of particular benefit to a horse buyer. 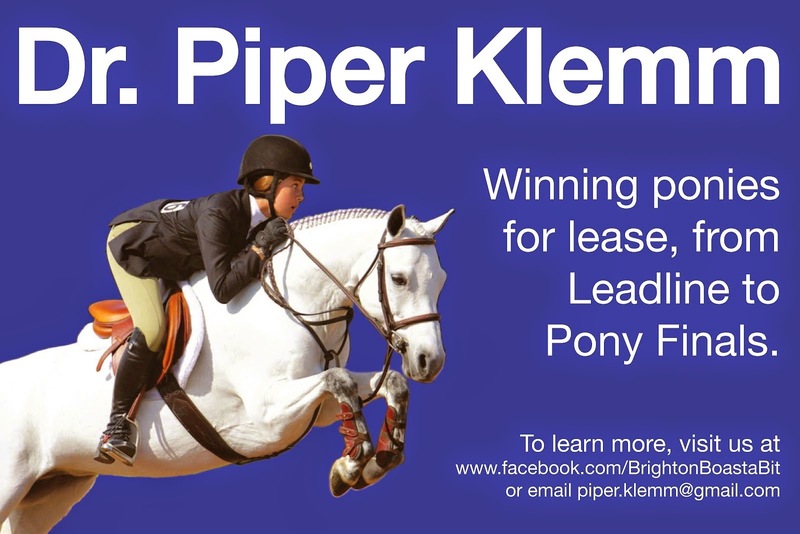 When you buy or lease a horse pay close attention to what is represented about the horse. Even if your contract says that the horse is being sold "as is" without any warranties of performance or health, the owner may have taken other methods (such as medication) to hide the horse's true state. In an even more grey area, a regular horse seller or trainer can be considered a "merchant" in the law, and if they unduly or inappropriately influence an amateur horse buyer/ lessee, they could be subject to legal penalty. A horse seller/ lessor should always represent the horse's health fairly and with transparency, and not warrant that the horse will perform in any particular manner. 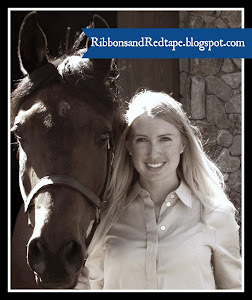 A slightly dense post, but an important cause of action in equine law! Your Downward Transitions: Sharp or Sloppy? My new horse Bentley is wonderful, but at 17+ hands he has a long back, and at 6 years old he needs to learn how to utilize and strengthen his top line. 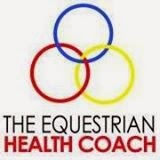 Aspire Equestrian reminded me of the enormous importance and effect of planned, deliberate transition exercises. 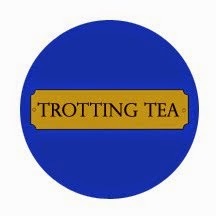 Rather than transitioning merely between gaits as we warmed up, we completed a series of 4 transitions each of walk/ trot, trot/ canter, canter/walk on a 20 meter circle. After completing this exercise periodically over a few weeks the transformation of his top line and the roundness of his stride is incredible and overtly obvious to everyone. I've spent some time thinking about the importance of transitions in life. When I am speaking to large groups or arguing in court I keep myself on track by planning out how I will transition between arguments or story lines, and what word or event will trigger the transition. I thought about how so many of my clients utilize my services because they are anticipating a transition, or have recently gone through a transition, and they need my legal expertise to help plan, smooth, or repair the transition. 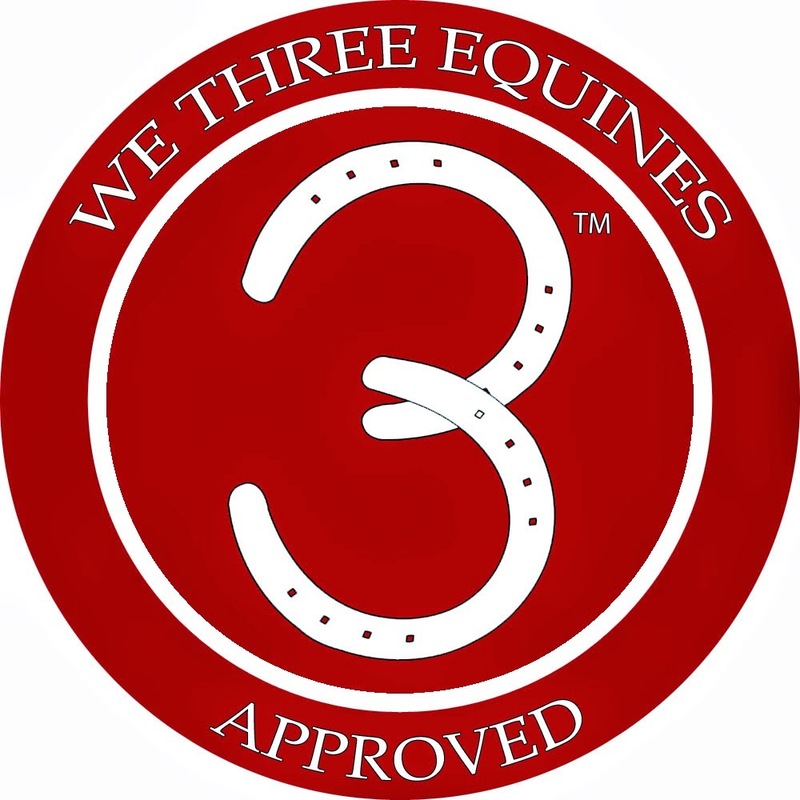 Common client transitions are: a longer or shorter horse lease term, transitioning into ownership of a new horse, bringing in a new trainer, and other subtle or dramatic changes in equestrian pursuits. These changes require preparation to ensure a clean and efficient transition. Just like riders putting their legs on, sitting deeply, and adjusting their aids for a transition, equestrians need to have the right legal framework, documents, and advice so that the transition in their equine life doesn't collapse like an unbalanced horse. 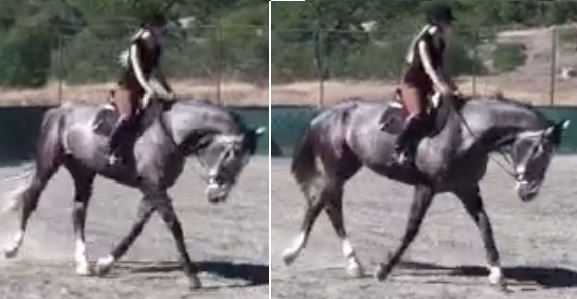 When I first started the transition exercises Bentley's hind end would collapse and stumble when going from canter to walk. I needed to repair that error and get him back into a healthy frame. If your equine business transition is in trouble, make sure you actively remedy it immediately so that you can get back on track. Learn from and correct your mistakes to ensure healthier transitions in the future. Switching to a dressage saddle helped me get my transitions rounder, cleaner, and more efficient. Consider what legal steps or changes you need to take to make your equine transitions be the same.